For 2019, all of these technology trends will continue to evolve, many of which will accelerate and converge. There will hardly be a business, from small to enterprise, that does not have an IT strategy that involves the convergence of many of these trends in order to grow and be competitive, as well as a strategy to be compliant with evolving data privacy policies and regulations. You did listen to me! As first written in my 2016 VMBlog article predicting the usage of voice gaining traction, every year since we have seen an incredible proliferation of voice-enabled applications and devices. We are seeing voice interfaces increasingly make their way into our homes and businesses, and even our cars. More recently, manufacturers are placing their bets on the introduction of voice to appliances including microwaves and toilets. Yes, toilets! Your first reaction will be one of questioning usefulness, and you may even do a quick internet search to see if I am telling the truth. But these are great examples of applying voice technology that can benefit people with disabilities. So, whether it's using voice to send commands to devices, or speaking into your phone, ultimately this is simply translating speech into text, then mapping the words to a matching skill, then finally an API call to a hosted service to execute a command. 2019 prediction for voice: The evolution of voice for 2019 is a convergence with intelligence. One example of this convergence we'll see is applying learning technology to the various ways people voice their commands. Today, most devices that have voice command support are very rigid in nature - meaning, a person has to speak the command almost precisely in order to achieve the desired outcome. Device manufacturers will start leveraging machine learning technology to learn more about how consumers are trying to speak to their devices, and then learn and adapt to be more successful in achieving what the person is requesting through speech. The second example of advancing voice from a convergence with intelligence is dynamically learning and integrating multiple actions to take place. This means dynamically learning to accommodate an aggregated set of actions to take place from voice commands. Regarding devices today, we accept the fact that we achieve some desired outcome through individual speech commands. "Close garage door number 1." Then, "Turn on the radio." We will see a shift in 2019 of the ability to more readily, and more naturally voice a single command that accomplishes multiple actions. As soon as I jump in my car I say, "Close the garage door and turn on the radio." This is a very simple example to make the point. Applying intelligence, we will not only see this increase in the sophistication level of voice used to aggregate commands across multiple devices, but also incorporate predictive habits so that more and more actions take place with fewer and fewer words. As I jump into my car I say "Let's go! ", and all the actions based on my habits at that location and at that time, happen in my home or business, and in my car. Lastly, although the discussion about voice has been about interaction with devices, this is not exclusive. We are seeing more business applications support voice. In 2019, we will also see more intelligence being applied to voice commands that involve the need to be more adaptive to speech patterns. Most importantly, we will see more intelligence applied to voice for the integration of data and business commands spanning multiple business applications. So you want to see my data? Probably one of the most impactful and challenging trends in businesses is enforcement and evolution of data privacy policies and regulations. The EU General Data Protection Regulation (GDPR) was enforced in May 2018 with significant fines if companies are found in violation. This is only an initial step for the EU since GDPR will also continue to evolve and become incrementally more stringent over time. Additionally, it is also stimulating what will eventually be equivalent regulations worldwide. 2019 prediction for data privacy: With mandated and inevitably continuous new data privacy regulations, the endless media exposure of security breaches and the rising consumer fear of identity theft, financial loss, reputation damage, etc. - we will see significant advances in IT innovations and solutions that will take private and personal, business and consumer information away from companies and back in control of businesses and consumers. As these data privacy policies and regulations evolve, businesses will need to reduce their risk of regulation violations by storing less and less data about other businesses and consumers. Therefore, new innovations and solutions will appear on the market where personal data about a business and consumer will be securely collected and stored, and only the business and the consumer has the key to give another business temporary access. By the way, this will also include all your healthcare information. In 2019, instead of having private and personal information about you spread across and stored by many businesses, you will start to see more and more of your personal and private data converging in one place. Likely this will be in private data vaults from cloud providers. When a business, person, or application needs or wants some of your personal information, they will need to request it from you, and you will have the option to either permit or deny. Additionally, you will also control whether you accept new or changed information to be written back to your private data vault. This new private data paradigm will reshape the way existing online business and social media applications do business with consumers and other businesses, and also make the integration of private data across business and social media applications much more challenging. Another area of evolution and conceptual popularity in processing is happening at the edge, especially in the internet of things, devices, and gateways. As certain businesses adopt and drive a devices strategy to be competitive, we commonly see more application and data processing happening within devices themselves, as well as in gateways and micro gateways. This includes performing edge analytics. 2019 prediction for edge: We will see more solutions leveraging the mobile phone for the edge because of the processing power and connectivity options. Mobile edge will become a more predominant means to collect, transform, analyze and integrate data with other data, and also transfer it to a data center or cloud. There are many scenarios now where there is no longer a need for specialized equipment, proprietary gateways or hubs for edge processing. Additionally, since the mobile phone is generally affiliated with a particular person, there will be much more added context that can be applied to analytics and storage for personal preferences including the use of existing location services for obtaining geolocation information. For example, customer satisfaction is key to a successful package delivery company. Therefore it is critical that packages get delivered on time, with no disruption in service. Today, it is very costly to outfit large fleets of delivery vehicles with new technology to monitor their condition including tire pressure and engine performance. A more cost-effective and real-time way to monitor vehicle performance is to simply send the data over Bluetooth from the vehicles existing onboard diagnostics (OBD) system to the driver's mobile phone, possibly also performing some edge analytics for predicting potential issues, etc. In addition, a driver can optimize delivery routes based on traffic conditions using existing mobile phone applications or take a picture to show a consumer or business where the package was physically left. Not only does all of the above apply to a consumer and their own vehicle, but it can be taken one step further with having the person's preferences stored on the phone. This could include seating position, mirror positions, climate preferences, and radio preferences that get applied as soon as they boot-up the car. Now for the ultimate convergence roundup. The mobile phone can be used to connect to and control numerous personal and business devices. It will increasingly be used for voice commands to control devices and perform business tasks. And, the mobile phone is my key to unlock my private data to applications that request it. 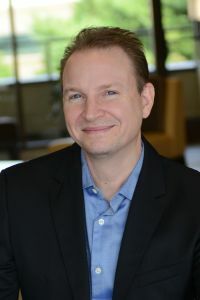 Michael J. Morton is a Dell Fellow, and Chief Technology Officer of Dell Boomi where he drives product direction and innovation. He has lead and produced a wide range of enterprise integration platform solutions for 30 years. Prior to joining Dell Boomi in 2013, Michael had an impressive career with IBM where he became an IBM Master Inventor, and most notably a founding developer and Chief Architect of IBM WebSphere Application Server. He earned a B.S. in Computer Science degree from the State University of New York at Buffalo, and an M.S. in Computer Science degree from the State University of New York at Binghamton.